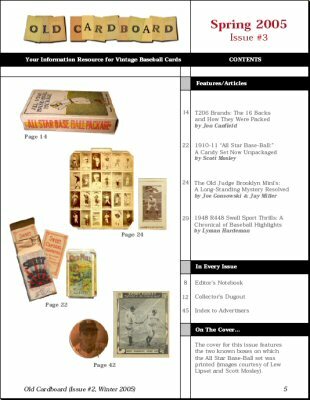 The cover and the table of contents for Issue #3 are shown below. 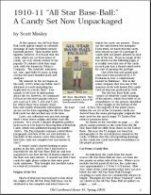 1) "1910-11 All Star Base-Ball: A Candy Set Now Unpackaged" by Scott Mosley. 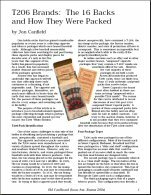 Our cover feature for this issue takes a close look at the only known complete set of this early 20th-century candy issue. 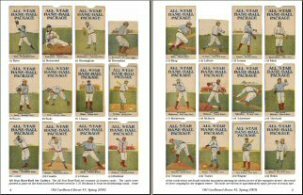 Key patterns in the set design, including a balance between the American and National leagues for each player position, are discussed. 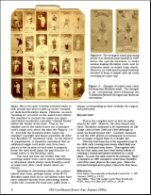 The close association between the poses used in this set and the popular T3 premium set is also detailed in a cross-reference checklist. 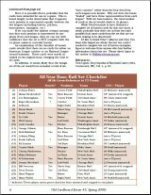 2) "N172 Old Judge Brooklyn Minis: A Long-Standing Mystery Solved" by Joe Gonsowski & Jay Miller. 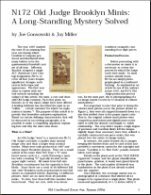 Two of the leading collectors of this popular 19th-century set report on their research into the process used to produce one of the set's most mysterious sub-series. 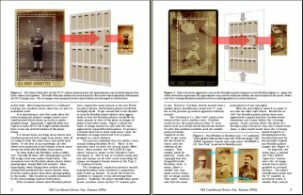 Thus, the reasons for the reduced image size found on a sub-series of Brooklyn players (known as the "Brooklyn Minis") are explained in graphic detail. 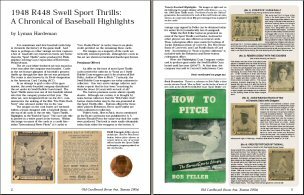 3) "1948 R448 Swell Sport Thrills: A Chronicle of Baseball Highlights" by Lyman Hardeman. 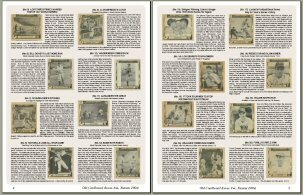 An in-depth look at this informative set includes images of all card fronts and the narratives that were printed on the backs. 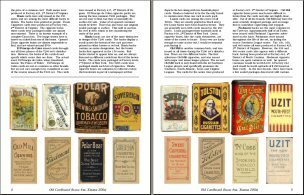 Long-forgotton details about the packaging and distribution of the cards are also revealed. 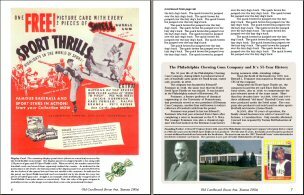 The 55-year history of the family-run company that produced the set is summarized based on an interview with it's president and CEO for nearly half a century. 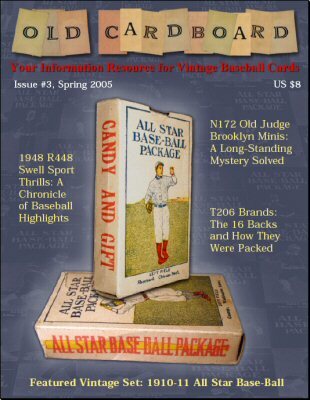 4) "T206 Brands: The 16 Backs and How They Were Packed" by Jon Canfield. 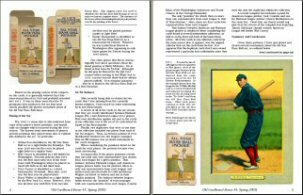 Focus in this article is on the 16 American Tobacco Company brands that together sponsored the popular T206 "White Border" cards. 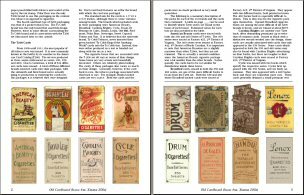 Not only is an image for the card back provided for each brand, but the packages in which the cards were distributed are presented for the first time in full color. 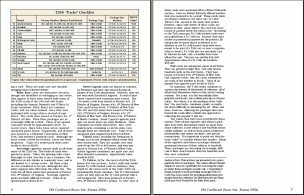 Guidelines for pack values are also included.